The stylish Sleepbox Signature has an understated yet classic design. Refined and curvaceous – with every sharp line deliberate whilst encompassing a flowing theme. Starting with the exterior, it is imposing with a wide stance, yet is perfectly proportioned. Home… like you like it! 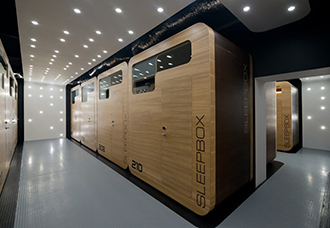 With its innovative design and sophisticated look the Sleepbox Signature is the epitome of comfort. 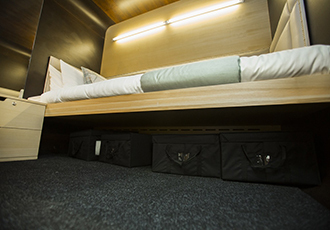 We’ve introduced a number of finishing touches to the interior to make your stay in the Sleepbox both comfortable and memorable. 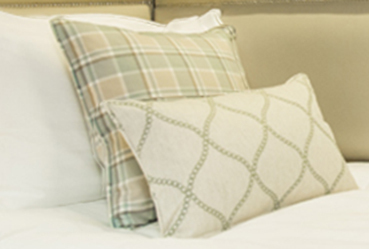 You’ll find we’ve achieved an impressive attention to detail making every stay a personal one. The fine leather style upholstered headboard with contrasting studded details provide a comfortable backdrop for complete relaxation. Attention to detail making a serious impact. 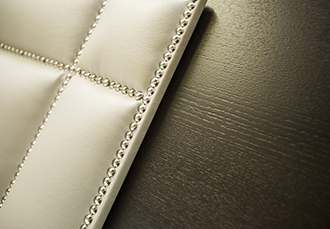 From contemporary leather headboards to tactile scatter cushions, our Signature look offers the perfect finishing touch to the Sleepbox interior. 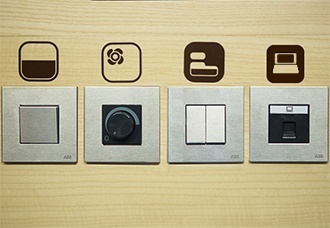 Whilst every Sleepbox user has different needs, the Sleepbox signature is tailored for everyone. For extra comfort, support and style we supply a ‘Sleepbox Signature’ mattress to ensure maximum comfort. You can choose from a variety of additional colours to fully customise your Sleepbox. 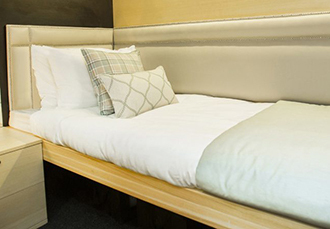 The Sleepbox Signature fuses the luxury and refinement with spaciousness and practicality. It’s spacious interior, crafted with minute attention to detail, envelops Sleepbox users with supreme level of comfort and luxury. The bespoke design of upholstered headboards and a chic array of scatter cushions ensure a seamless blend of luxury and comfort. The mixture of duck egg blue and subtle creams compliment the natural interior of the Signature.